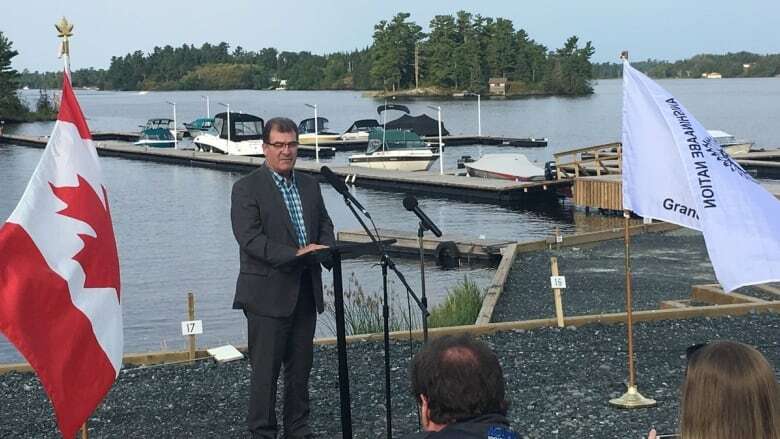 The federal government has announced $7.2M in funding to connect Wauzhushk Onigum to the City of Kenora's water system. The announcement was long-awaited, with part of the community just south of Kenora, Ont., on a boil-water advisory since 2012. Another portion of Wauzhushk Onigum had its water treatment facility rebuilt in 2017. MP Bob Nault made the announcement on behalf of Jane Philpott, the Minister of Indigenous Services. The announcement also includes funding to connect Wauzhushk Onigum to Kenora's wastewater system. The federal government said the project, when complete, will provide safe drinking water to all 377 residents of Wauzhushk Onigum, and end the drinking water advisories in the community. The project is currently in the design phase. Construction is expected to start in January 2019, and be complete by next fall. The City of Kenora and Wauzhushk Onigum signed an agreement earlier this fall to connect the two communities. This announcement is part of the federal government's plan revealed in 2017 to fund water projects in eight First Nations in the Kenora area.